The “Cup of Tea and Bingo” group has moved to a new venue – the Six Bells – and we really appreciate them hosting us each month. It is still held on the first Wednesday of the month at 2.15pm and we are always happy to see new faces. If you have any queries or need a lift, please phone Marjorie Southall or Sue Derbyshire. 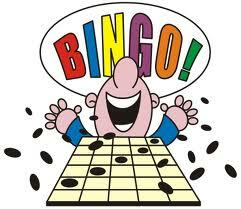 PLEASE NOTE TEA AND BINGO HAS BEEN CANCELLED FOR WED 1st JULY – SEE YOU ON WED 5th SEPT!